The stories behind magic and the mind. In these straitened times I’ve found myself occasionally exploiting an extra revenue stream: extracting coins from youngster’s ears. I also read their tiny minds, vanish hankies and offer myself up for trial-by-toddler, fairy cakes and cash. You find work where you can these days. It all started when I set out to write a book about magicians. It quickly became clear that the only way I’d get any conjurers to open up to me was to join their ranks. A hastily researched performance for my son’s fourth birthday and some parents at his school looking for a cheap party entertainer, launched my alternative career in deceiving, at first the young, and then older, easier, far more compliant and surprisable adult audiences. So this is just to assure you that I talk here from experience; even if some of it is bitter. Everyone recognises that, somewhere along the line, I ‘did’ something that they missed; something a rational mind, through a process of logic, would eventually be able to work out. It has just been, for the moment, obscured by some nefarious sleight or misdirection. From my time at the coalface of astonishment I can happily, anecdotally, report that, for the overwhelming majority of us, without a plausible explanation, reason is our default mystery solver. Like Scooby Doo. The trouble only comes when conjurers start giving their tricks plausible explanations as part of their misdirection. No magician alive today does this better than Derren Brown. Having just concluded a series of ‘Experiments’ on Channel 4 based on classic psychological and sociological investigations and concepts, he performs a precarious balancing act in explaining his own effects. On one side, through his activities blogs and writing, Brown promotes scepticism: he challenges mediums and spiritualists, just as Houdini did; he promotes a scientific approach; he embraces Dawkins and writes about his own lapsed Christian beliefs. He encourages the asking of questions and disapproves of blind belief. 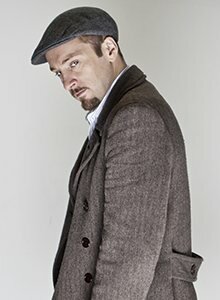 On the other hand, the Derren Brown that countless TV viewers and theatre audiences encounter does not simply create mystifying effects, his explicatory rhetoric in performance is steeped in a belief; not in a god or an afterlife but in a fuzzy set of behavioural dynamics that we non-experts call ‘psychology’. Something which, we may need to remember; just because it is an ‘ology’, doesn’t make it any more scientific than ‘astr’, ‘graph’ or ‘crani’. Brown often explains his ability to predict words or behaviours, to duplicate drawings or influence people to act in certain ways, as achieved through a mastery of the understanding and exploitation of ‘psychological techniques’. I must here state my own belief that, though some of his effects may have a loose psychological component, these explanations, as you might expect of any conjurer, are mainly bogus; misdirecting attention from his real methodology. The truth is, no matter how hard you studied psychology, no matter how expert you became in understanding human motivations and frailties you still could not possibly repeat Brown’s effects without the use of age-old conjuring smoke and mirrors. Oh, I realise that Brown preambles his performances with his, ‘achieved through a combination of illusion, magic, psychology…’ so more fool anyone who believes otherwise but tumbling out in to the night air in front of the Shaftsbury Theatre, where Brown’s latest stage show ‘Svengali’ enjoyed an extended run, his still entranced audience seem only to have believed that last word. What has made Brown such a paragon for modern magicians is not his effects which, from a conjurer’s point of view, are certainly no more extraordinary than an Annemann or Thurston, but the way he dresses them in the irresistibly credible and contemporary beliefs that we hold to be self-evident. It seems a shame that ‘psychology’ remains a rather catch-all idea about human behaviour which, without substantial evidential proof, remains in a limbo no closer to science than it is to pure belief. 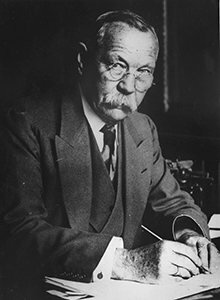 It seems to have materialized amongst some other, more dubious, beliefs that emerged in the late 19th century in the wake of Darwin and the mechanisation of the industrial revolution; ideas like phrenology, eugenics, fascism and communism, the sort of human reductionism that helped set the tone for the following ‘century of war’. Within these concepts, man was no longer that central almost divine creature of Humanism but increasingly a part of the mass, an automaton to be wound up, studied, controlled and, if necessary, destroyed. To my mind one of the more pernicious of those new mechanistic ‘beliefs’ was the flowering of the ‘science of psychology’ spear-headed by German physician Wilhelm Wundt who founded the first psychological laboratory, at Leipzig University, in 1879. It was a theory of the mind and mental health that seduced the twentieth century, creating amongst other things today’s world-wide therapy industry worth billions. All this despite the fact that, in all this time, no actual psychological experiment has been found to be scientifically 100 per cent repeatable. When working with populations on a sociological scale, psychological experiments can repeatedly find figures that are close – ie most people do X not Y under Z circumstances – but there is no individual psychological response or action which is universally repeatable. Psychology remains a numbers game. Derren Brown’s psychological rationalization for his extraordinary effects is his masterstroke. It very cleverly buys into and perpetuates a belief that so many of us maintain to this day, that we are, beneath it all, a mechanism, we are machines just waiting to discover what makes us tick. Dehumanised in this way, it would logically follow that it must be possible to reduce anybody to a set of behaviours and reactions; theoretically we are all potentially predictable and malleable in the hands of someone who has a thorough enough understanding of ‘psychology’. It’s the same reason we thrill to Sherlock Holmes, with his instant in-depth profiling, or even feel awkwardly attracted to the inevitability of Dawkins selfish gene. It is man as unwitting reductionist victim rather than master of his own destiny. Man as programmable machine. Drone to democracy. An automanton. To me, the belief that anyone, even Derren Brown, could influence or predict anyone with pinpoint accuracy, considering how the latest Diagnostic and Statistical Manual of Mental Disorders published by the American Psychiatric Association puts the entire population somewhere on its scale, is almost as barkingly misleading and misguided as the belief in pixies and ghosts of the Victorian era. 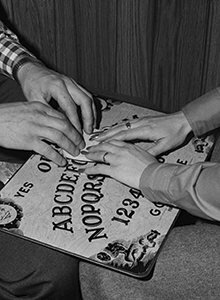 Because, of course, it was also in the 19th century when modern spiritualism began, a belief that there is not only an afterlife but those who are in it can be communicated with and be summoned at the command of the living. All civilisations seem to create their own death cults, from the ancient Egyptians to the Third Reich, but the Victorians appear to have taken it to another level entirely. In their time, in their way, they were the master race, bequeathed the wealth and dominance of the globe by industrialisation and the legacy of the East India Trading company. They ran an empire that spanned the earth; only one last frontier remained beyond their control, escaped their dominion: death. Spiritualism chimed with a need of the times just as ‘Psychology’ has chimed so clearly with ours. A walk around any British cemetery bears witness to what necromaniacs the Victorians were, centuries of simple gravestones suddenly surpassed by vast mausoleums and elaborate angel-laden tombs. They even created their own Necropolis railway to usher the dead from Waterloo to the enormous Brookwood Cemetery in Surrey. Over a century later and still with no scientifically confirmed evidence of an afterlife, mediums continue to thrive today. Despite having had all their tricks, their cold, warm and hot readings, exposed by a succession of magicians and sceptics from Houdini, through James Randi and even Derren Brown himself, mediums still draw crowds of believers looking to make sense of that last horror, the indisputable finality of death. So Derren Brown walks this tightrope between being a hero of scepticism, exposing old ‘ugly’ beliefs like spiritualism, and actively seeking to encourage belief in his skills and in a system that he knows he cannot prove, just pretend to. Brown has recently started distancing himself from his earlier shows, ‘I have largely moved on from performing those sorts of tricks,’ he blogged the other day. He sees his recent work in the ‘Experiments’ as more indicative of his present career. Every jobbing magician knows that when an effect is just too baffling, you introduce it with the words, ‘I want to try a little experiment.’ This phrase is both pseudo-scientific and very ‘old school’ in conjuring terms and it’s interesting to see Brown returning to it. Though he appears to sometimes be blurring the edges between science and his own pseudo-science Derren Brown is neither ‘psychologist’ nor ‘scientist’. Nor does he claim to be despite the language he uses in his shows. Sadly, each of his latest ‘Experiments’ seem to have been more interested in faking the successful outcome of famous concepts, like Milgram’s notorious dehumanised cruelty investigation or the Manchurian Candidate’s question as to whether a hypnotised subject can be made to act against his will. Witness Browns ‘Experiment’, ‘The Guilt Trip’ in which he attempts to drive a man, through guilt, to admit to a murder he did not do. Somehow one feels he missed the point, we never find out anything about why people really admit to crimes they didn’t commit. This may be because science asks questions wheras magic uses answers to create questions. The scenario Brown produced carefully controlled what the audience witnessed and only gave enough to encourage them to believe he had succeeded. Closer analysis: a man is paralytically drunk and wakes the next day to find someone has been killed, he then confesses to the police that it ‘could’ have been him as far as he knows, is far from conclusive. Of course it might have been, just as much as it might not have. Derren Brown produced a very watchable program about someone more willing to just tell the truth than be caught in some horrible lie further down the line. Brown creates a belief in his successes from very partial revelations of the facts. Something I suspect a real scientist would find frustratingly pointless unless the real experiment was an investigation of the gullibility of TV audiences. But there seems to be no attempt to gather statistical evidence on that. In the end, even if Brown parenthesises his performances with protestations of ‘illusion and magic,’ we all know that many in his audience will believe these things simply because his ‘psychological’ dressing is such a plausible answer. So in the same way that I fear for the people who still take mediums and spiritualists seriously, I fear for those who take Derren Brown seriously, and they do, like Steven and Mi-Li. Thank you to everyone who attended the launch of How To Forget at Daunt’s Bookshop on the Fulham Road last Wednesday. It was a night of old friendships reacquainted, ink and magic – a huge number of you turned up and depleted a very large stack of books. Those who forgot to come missed my slightly odd book-reading which, in deference to the magic in the book, I performed through the medium of someone else’s mind, read verbatim from a page which was never in the book she read. The magicians Laura London and Russell Levinson performed incredible feats of prestidigitation and since some of Laura’s magic involved balls of fire, Daunts showed admirable restraint in not pointing out the obvious dangers to their combustible stock. I had a marvelous time, I hope everybody who came did, and as a little taste for those who didn’t – witness the mandatory awkward proxemics of this trade paper/Publisher’s Weekly style photo from the do featuring my brilliant editor Jane Lawson, Laura London and me… I’ll leave it up to you to decide who’s who. Magic was the theme at Daunts Bookshop on the Fulham Road as partygoers gathered to celebrate the launch of Chelsea author Marius Brill’s new novel How To Forget – A book of Laughter and Regretting. To honour the book’s themes of conjurers and con artists, burlesque magician Laura London, from ITV1’s ‘Penn and Teller’s Fool Us’, and local card expert Russell Levinson performed miracles of magic for the guests. Even though Laura had packs of cards bursting into flames just inches from the bookshop’s highly flammable stock, manager Max Porter appeared amazed but, ironically, un-daunted. Marius Brill welcomed guests including ‘Chancer’ actress Lynsey Baxter and a melange of notable writers and artists (of all varieties). To promote this literary thriller about illusions and the mind, Brill turned his hand to magic to by performing a reading from How to Forget. He chose not to read from its pages but from a spectator’s mind who had been asked to memorise any passage they liked. He then revealed that the page his volunteer had read had been torn out of the book before she had even opened it. We’re still trying to work out how he did that. “You hang about with magicians long enough and some of the pixie dust rubs off,” Brill said. “Along with the rip-roaring adventure, readers will discover the secrets behind many of the world’s greatest magical ideas.”How To Forget by Marius Brill, published by Doubleday, is for sale at Daunts and all major bookshops now. £12.99. via Magic at Daunts – KensingtonChelseaToday. Orson Welles talks about the art of cold reading. The term cold reading is an old one, and predates Orson Welles’ talk here. It is used as the background to the novel and film Nightmare Alley and not only does it feature in my book but in A.L. Kennedy’s recently published Blue Book which I’m reading right now… and enjoying immensely. Let Orson explain. I have my doubts that Welles did half the things he claimed to. This looks more like well informed wishful thinking to me. An imagination thank fully unchecked by my sort of cynacism. And what a genius for story.